This summer I will be holding several free Mindfulness taster sessions for anyone curious about this thing called Mindfulness and those interested in doing the new 4 Week Mindfulness course which begins in September 2016. Mindfulness enables you to change your relationships with your thoughts, emotions and physical self. Through regular practices you will learn how to be with your experiences as if for the first time, without judgement, pressure or wanting it to be different. We can learn to bring a sense of equanimity, patience and freedom to ourselves more of the time. So if you are interested in bringing more control, choice and freedom into your life in just 4 classes then come to one of the tasters which will be on a Wednesday evening and a Saturday morning. To register your place or for more information please Email Simon, stating which taster you prefer, Wed pm or Sat morning, or call me on 07932 393972 for more information. If you have ever considered learning Mindfulness to help with stress, anxiety, rumination, or to get a firmer hold on this thing called life, but have found the lack of time getting in the way; then the new 4 Week Mindfulness course will be perfect for you. This summer I will be initiating my new 4 Week Mindfulness course which gives you the core practices and insights of the standard 8 week MBSR in half the class time. The course is spread over 8-10 weeks enabling more time for practice and the cultivation of the necessary skills and awareness in changing relationships with Thoughts, Feelings and Physical Sensations. I will be holding free taster sessions over the summer at the clinic for anyone interested in Mindfulness and to get a sense of what the courses involve and how Mindfulness can truly re-shape your life. Take back control of your thoughts and feelings. 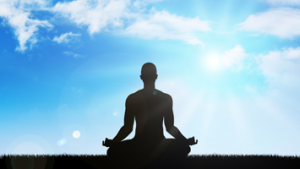 This simple breathing exercise forms the basis of most meditation practices. It is designed to deliberately place your attention on what is real in your life: your breath and your body, and to give you a break, a breathing space, from your thoughts and feelings. If we can change and improve our relationship with ourselves, we may have a better chance with our relationships with others. Sitting comfortably with your eyes gently closed, imagine the top part of an hourglass or egg timer. Now ask yourself: What am i experiencing? Adopt a broad sense of enquiry, looking at whatever thoughts are passing through, whether you have a busy or quiet mind right now. Then move your awareness to whatever feelings may or may not be present, try to just observe whatever is there without getting involved in them. Next, be aware of whatever physical sensations are present, whatever your body is saying. They will be small sensations perhaps. Notice your feet on the floor. Just notice with curiosity. This is your experience now: Thoughts, Feelings and Body. As the hourglass narrows, take your attention to your breathing. Place a hand on your belly to follow the natural physical movements of the breath. There is no need to change the breath, just notice how and where your breath moves through your body. After spending as much time with your breath as you want to, you need to make the transition back into your wakeful day. As the bottom of the hourglass expands, so open your awareness from the breath to your body on the chair, your feet on the floor, your posture, facial expression. Your whole self as your are now. Take a deep breath in and as you exhale very gently open your eyes with a half smile across your lips. Take with you what you need from this practice into your day. Download the 3 Minute Breathing Space Here. Simon’s Mindfulness Courses re-start in September with the 4 Week MBSR. To reserve your place just Email me or call me on 07932 393972 for more information. Are you suffering from any of these: anxiety, stress-related conditions, work crises, family issues, hopelessness, boredom, career issues, relationship stagnation, unhelpful and damaging habits such as smoking or eating issues…..then perhaps this article could give you the space you need to change what doesn’t work for you. In my practice as a body-worker, Mindfulness teacher and coach and hypno-psychotherapist I am witness to many different conditions, injuries and psychological issues. The more physical conditions range from sport and exercise induced injuries to work-place postural concerns to general life incidents. Whereas the more psycho-emotional issues which present in my treatment rooms range from sport and exercise stress and anxiety, work-place issues, stress, anxiety or depression, and general life incidents: relationships, finances, personal hopelessness to name but a few. If you haven’t made the connection already, not to worry, it took me years to see the light. To see that it wasn’t just what we are doing that may be damaging or affecting us, or the amount of it we are doing, but the way we are doing it. In other words it is the ATTITUDES we bring to any action that will determine the quality of the outcome. I realise this is not ground-breaking stuff, but where it might be of interest is within the health and exercise arena, not so much to do with the ‘think yourself well or thin’, or ‘you can heal your life’, but more to do with the internal pressures we may or may not apply on ourselves when we approach our behaviours. The red-flag that may well show up at times in our lives is when we do things ‘without conscious thought’, when certain behaviours, unhealthy and unhelpful, become automatic. Our bodies and minds can cope with a lot of pressure or stress, but there are limits at which we will begin to experience warnings: bodily aches, fatigue, pain or illness. We will tend to see these warnings as our ‘unwelcome guests’ and shut them out of our conscious awareness…we ignore them. However, these ‘unwelcome guests’ are gold-dust. They are clues telling us that perhaps what we are doing is not working, that another approach might be more beneficial. The focus of this article is to shine a light for you to see the effect that our thoughts, feelings, sensations and intentions have on our health and well-being, our relationships, work-life, parenting and personal growth. So the big question is how do we alter our thoughts, feelings, sensations and intentions to have a softer and healthier approach to our wants and desires? The answer is…..we cant, well not strictly speaking. We cannot stop these from happening, but we can alter how we respond to them. It is by noticing. That’s it, just noticing what is there: your thoughts, feelings and sensations. The trick then is to learn to be with these elements, to be with your pain, your troubles, your crap, your fears, doubts and uncertainties, and allow these to just be. To not try and change them, but to observe them from a new vantage point, from a mindful place. “You cant stop the waves, but you can learn to surf”, so says Jon Kabat-Zin, the originator of the form of mindful training called Mindfulness Based Stress reduction. Watch Jon Kabat-Zin explain what Mindfulness is in this short video. What he means by this is that you cannot ever stop the mind from thinking, or the body from feeling, but you can experience these in a healthier way. A way to take the pressure/s off myself for a brief moment in order to have the space or freedom to make a clearer choice or decision. Mindfulness is simply: Paying attention in a deliberate way, in the present moment, non-judgmentally, with kindness and curiosity. In this attention, you are stepping out of Automatic Pilot (reacting to our inner and outer experiences) and into a space of considered choice and awareness. Sitting in an upright, comfortable position, as you read this just get a sense of what your body is feeling like right now, just scan your whole body from top to toe with a wider sense of curiosity, becoming aware of every sensation there might be, or lack of sensation, listen too to whatever thoughts are passing through your mind, this is what the mind does, as best you can just observe these thoughts, no matter what they are, and now bring your awareness to your breathing: to where you might be feeling your breath, now just let your attention rest here, on your breath, on the ebb and flow of each breath, bringing your attention back gently, each time your mind wanders off….. In the mindfulness based work called ACT, which stands for Acceptance and Commitment Therapy, there is a simple formula devised originally by Steven Hayes which is beautifully applied here and moulded into the SLOW formula. It allows you to self-assess whatever needs changing or isn’t working, and alongside mindful practice and applying your values through values guided action, you move to a more workable solution. Observe: Physical feelings: painful, strong and overwhelming emotions. Physical pain. Fatigue. Workability: Does this work for you? If not, what next? If you are curious about what Mindfulness or ACT is and how it can benefit your life and help you to move towards a life of richness and fulfilment, then please see the following video of Jon Kabat-Zin. 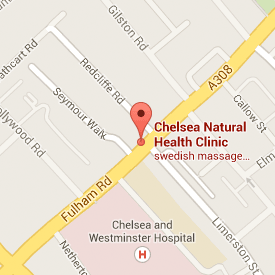 Sessions are on Wednesdays evenings at Chelsea Natural Health Clinic. Many thanks and begin noticing….everything….